What a crazy weekend it was! 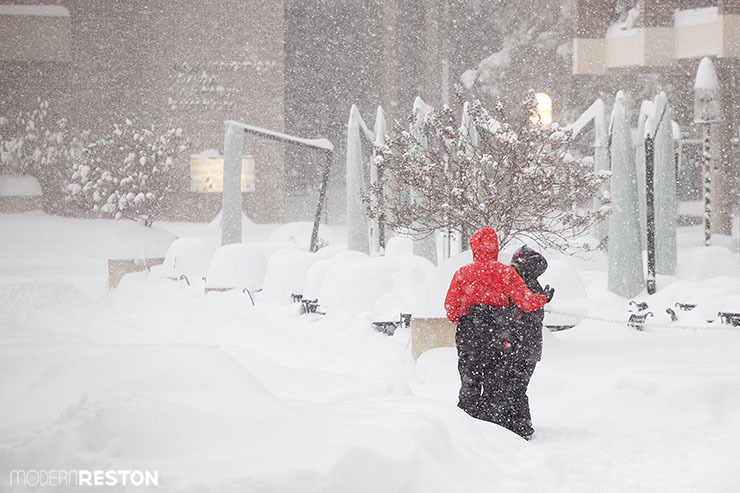 I’m still buzzing from all the excitement of the historic snowstorm that pummeled the DC area for 36 hours, leaving behind almost two and a half feet of snow. 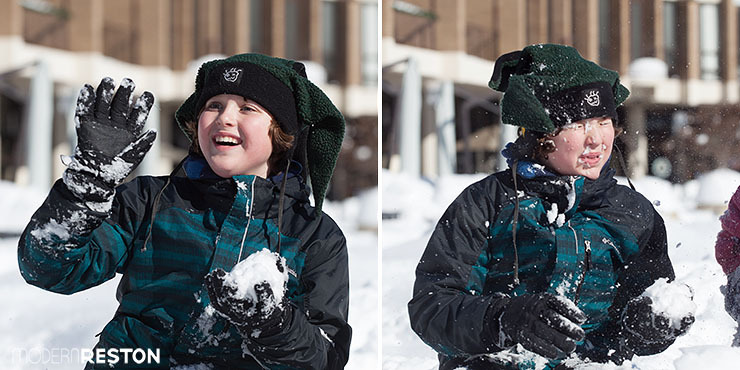 Here are some of the photographs I took during and after the blizzard. 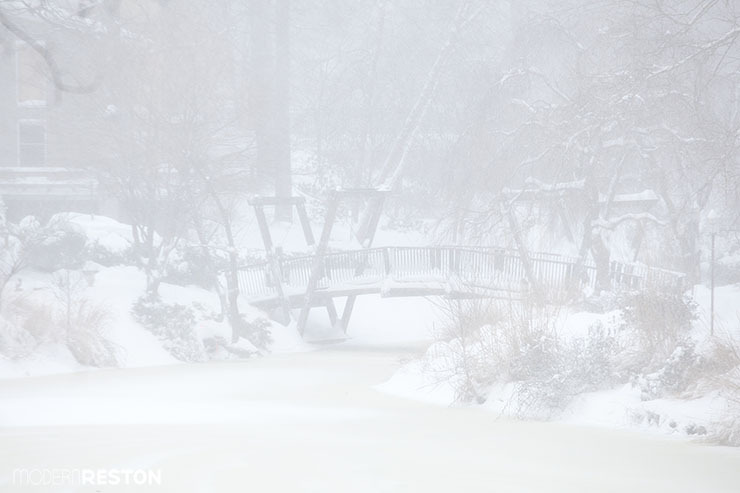 Because the roads were impassable, I was only able to photograph places within walking distance of my home. Please send us pictures from your part of town! We are collecting reader images for tomorrow’s article. 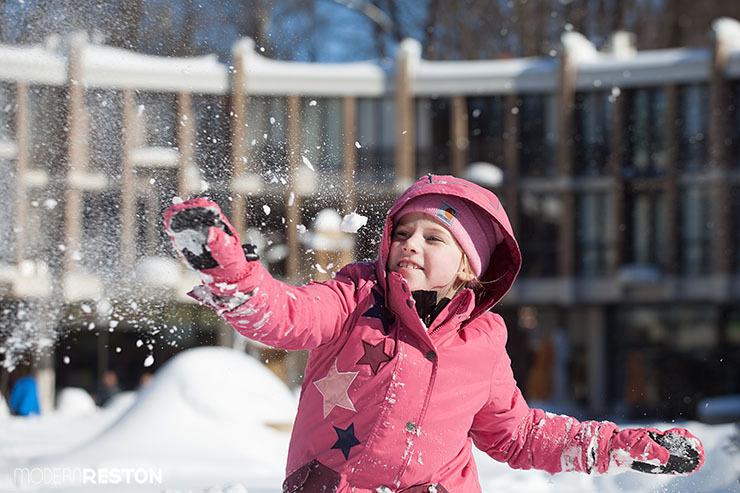 To submit your photos or videos for consideration, please tag them on Instagram with #modernrestonblizzard, or post them in the comments on this page. Please tell us the name of the photographer and the location of the photo/video. We can’t wait to see your pictures! 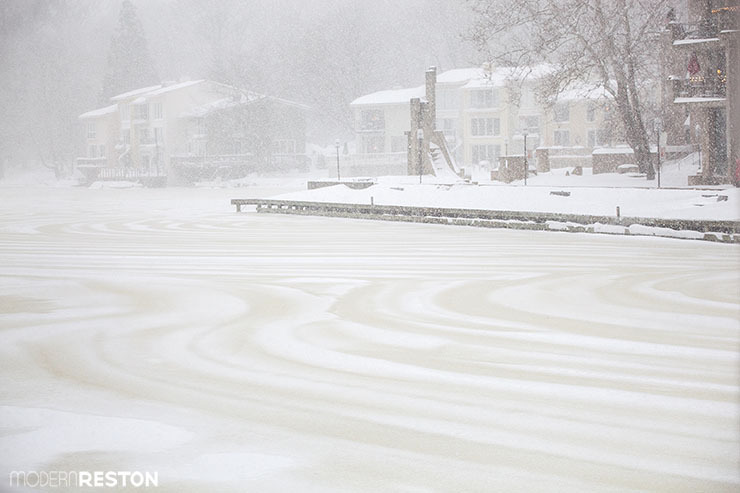 The swirling winds created a beige and white marbled effect on the frozen surface of Lake Anne. 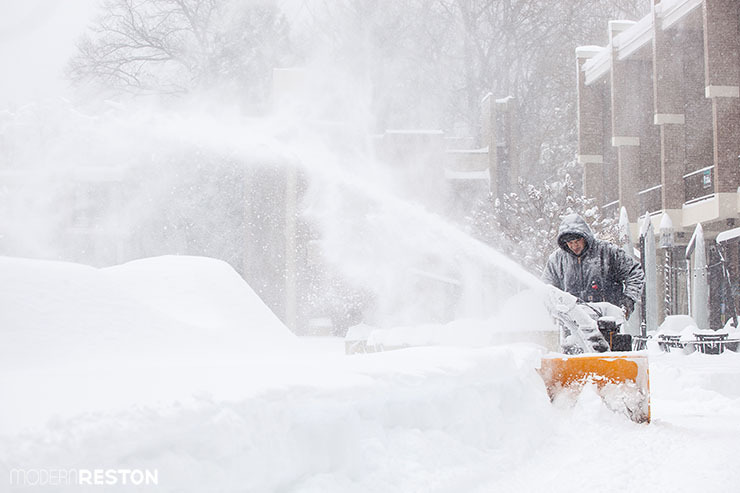 The maintenance crew for the Lake Anne Reston Condo Association (LARCA) worked continually through the days and nights to keep the paths clear. 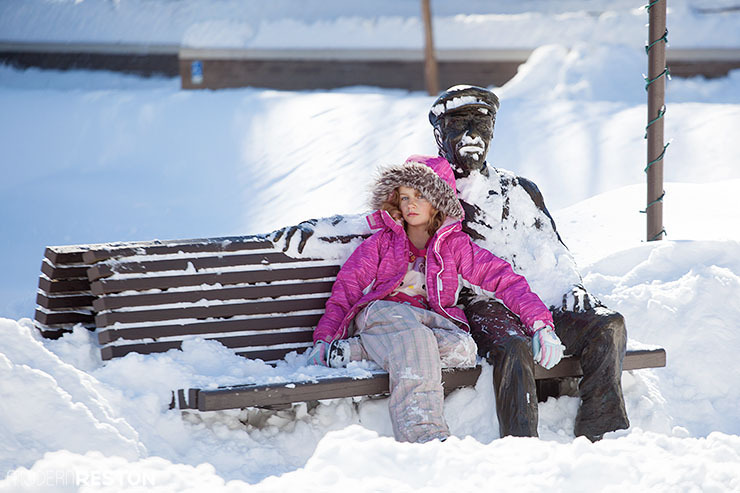 A couple cuddled next to the buried children’s fountain and Kalypso’s Sports Tavern during the fiercest part of the blizzard on Saturday, January 23, 2016. 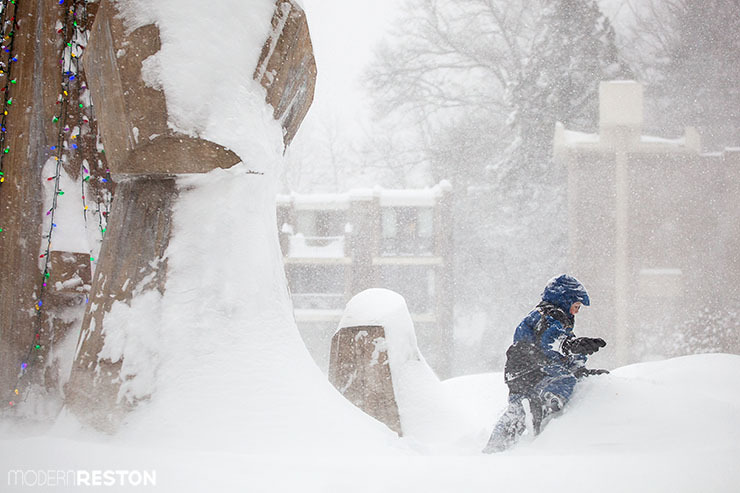 The Lake Anne children’s fountain was halfway covered by snow that had blown sideways in the same direction for hours. 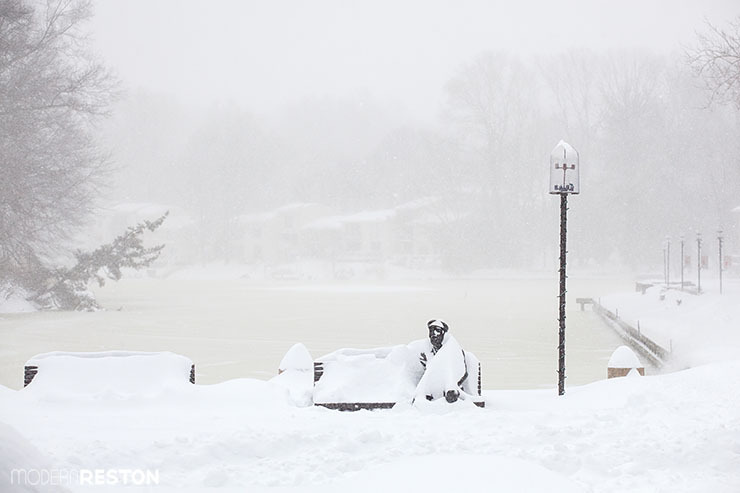 The view across Lake Anne was almost a whiteout during the blizzard winds on Saturday. 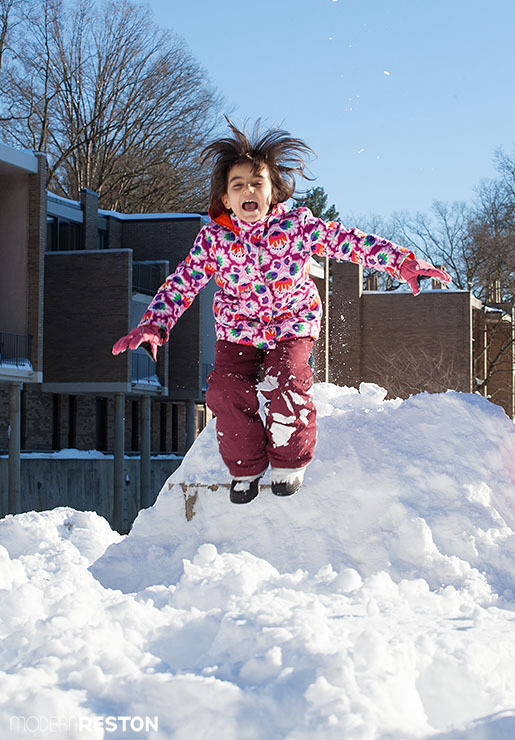 By Saturday afternoon, a path had been carved through the snow on a staircase leading to Lake Anne Plaza, enabling an unexpected sledding route. On the morning of Sunday, January 24, 2016, the sun came out. 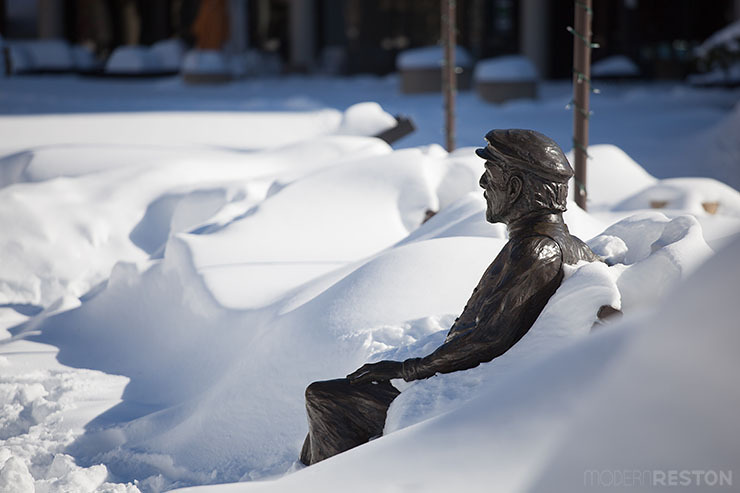 The Plaza was buried, but someone had cleared off Bronze Bob. 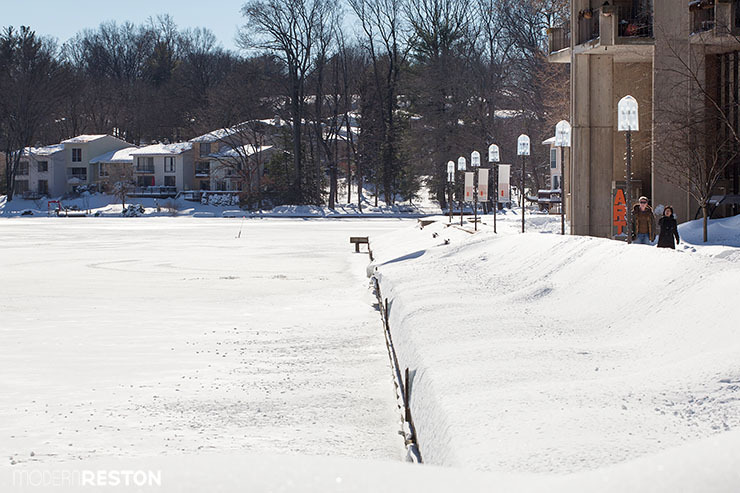 The benches along the boardwalk weren’t visible under the drifted snow. 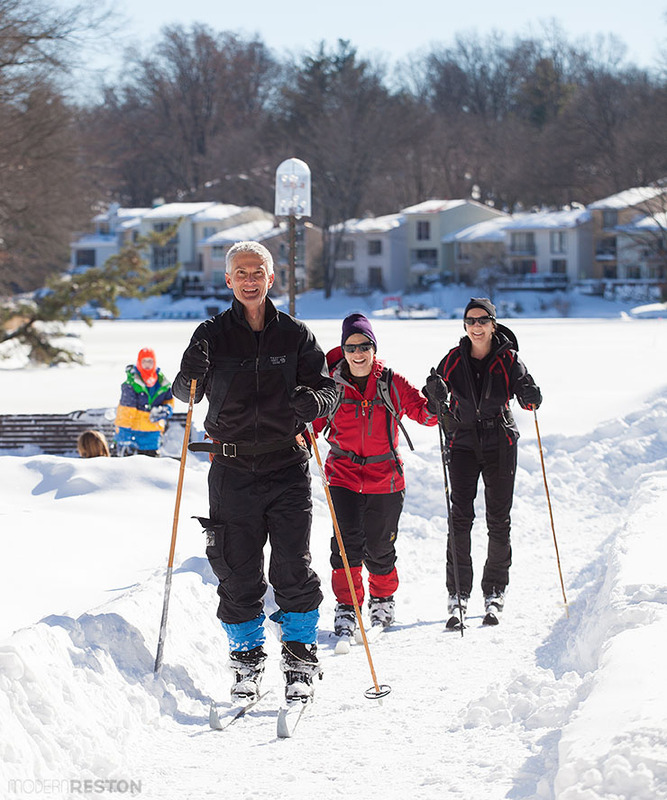 By Sunday afternoon, neighbors had gathered in Lake Anne Plaza to play in the snow, including this group of cross-country skiers. 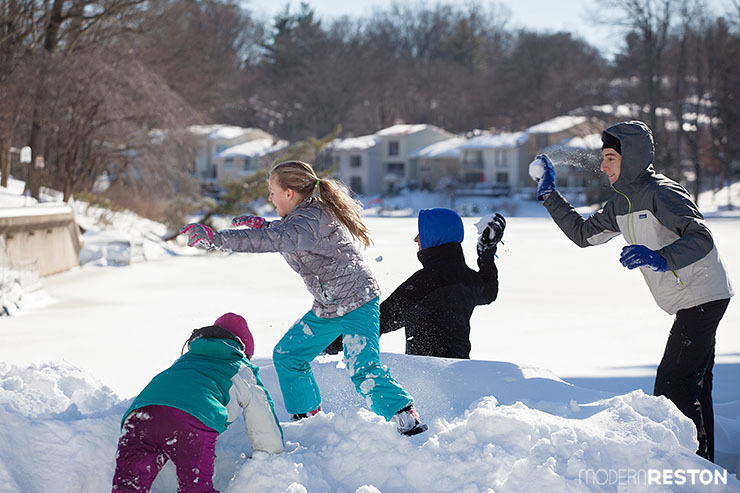 A community snowball fight took place on Sunday afternoon at Lake Anne at 1pm. 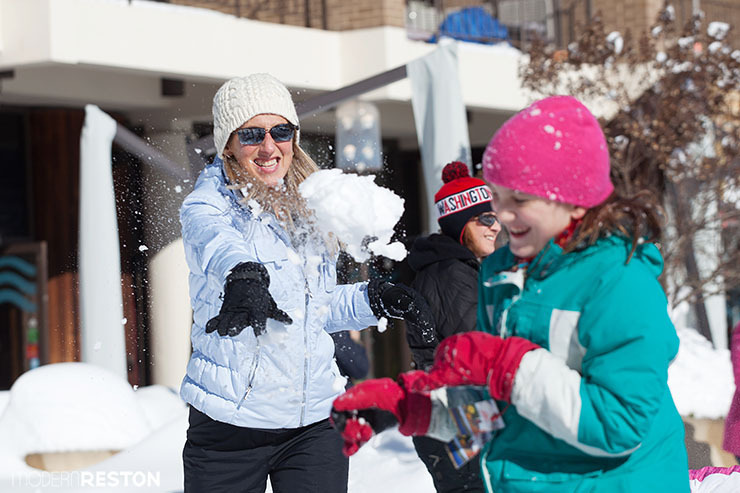 Kids and teens stayed for hours afterward to build snowmen, ride sleds and snowboards, and throw more snowballs. 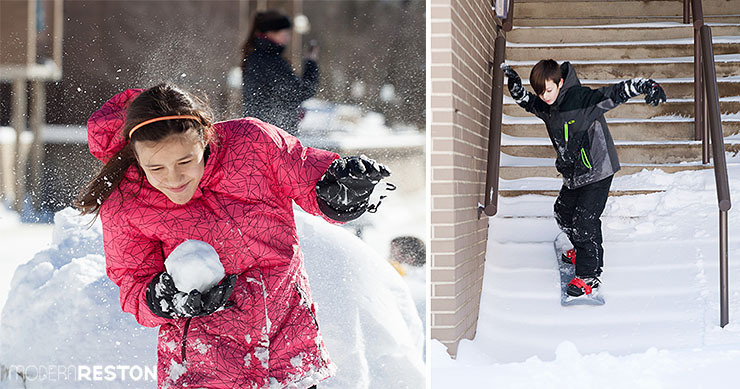 With the schools and government closed today, the fun continues! 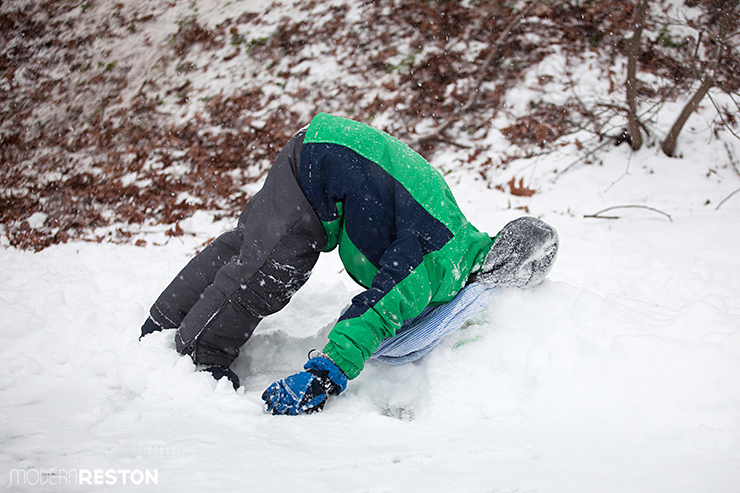 Please head out and enjoy this historic snowfall, and send us pictures, please. 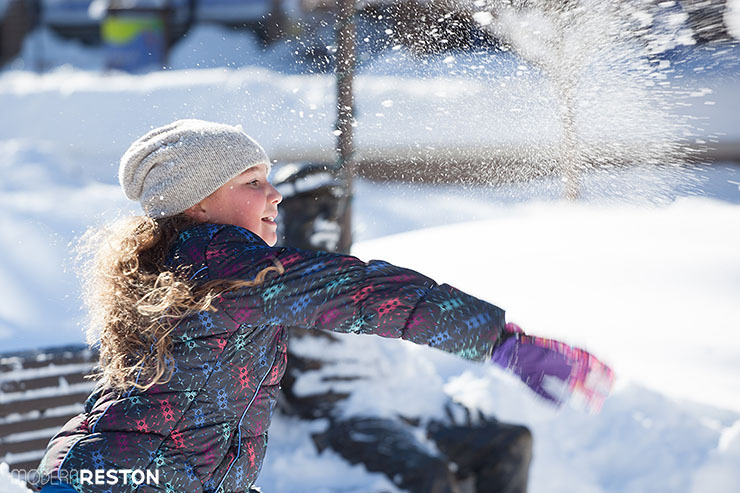 We have loved all the pictures you’ve sent already, and can’t wait to see what mischief you get into today. 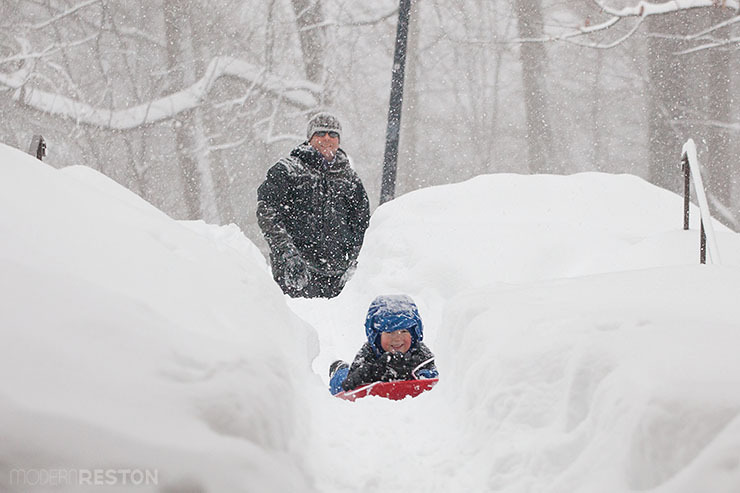 Joseph and Aaron Letteri having fun because the schools are closed. The picture is taken on the paths off lawyers road today.